It may as well be some sort of existential crisis in question, but in any case, here we are. 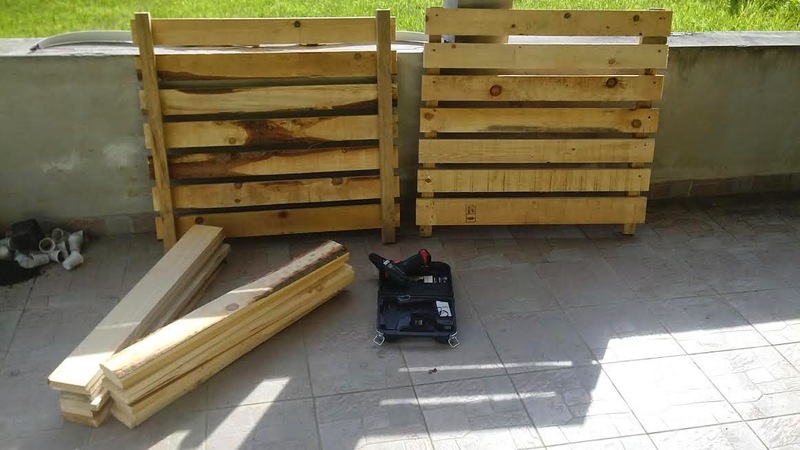 Making a composter. With no previous (relevant at least) wooden-stuff-making experiences, I have decided it is about the rightful time to properly punch some nails and screws into some wooden planks. 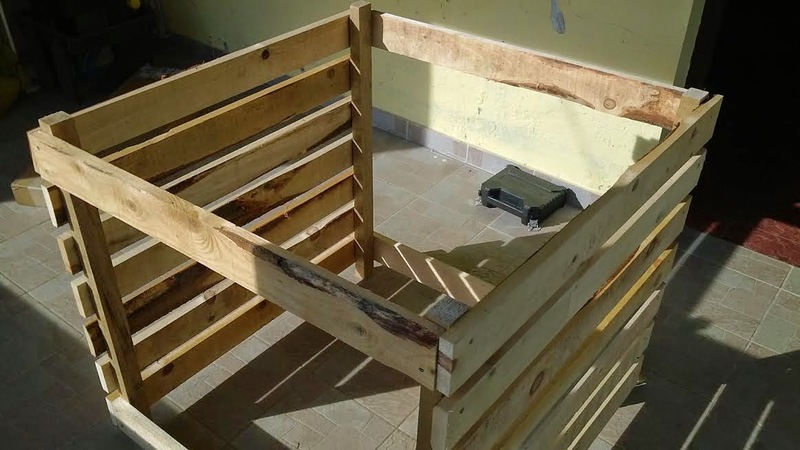 What is a composter (compost bin) anyway? 1) Know what a compost bin does. 2) Have read nearly all the Internet, and all that is left to read is this article. In this case, you should also know what a compost bin does, since you have read all the Internet. So, being able to establish these facts, let us proceed. 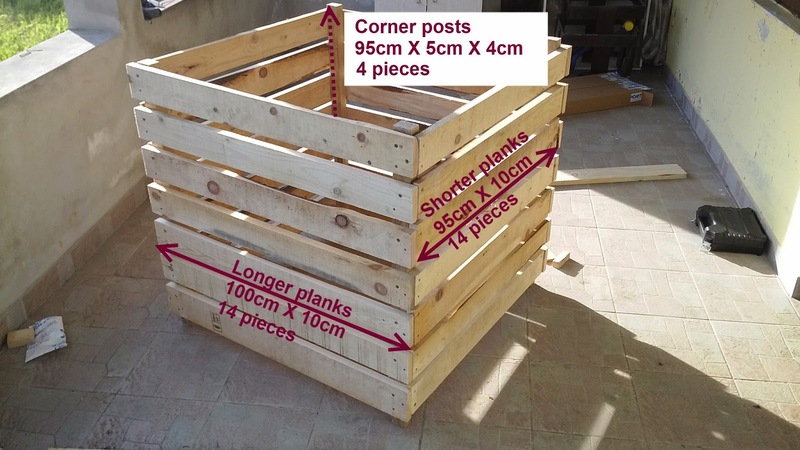 I have to point out though that there are far better DIY tutorials on making compost bins on the internet, but they are not as nearly as frivolous as this one here. The following instructions are made for complete beginners, and the wood-stuff-making professionals are probably going to experience a light head exploding symptoms as parts of their brain won't be able to manage this serious lack of regard towards their profession. 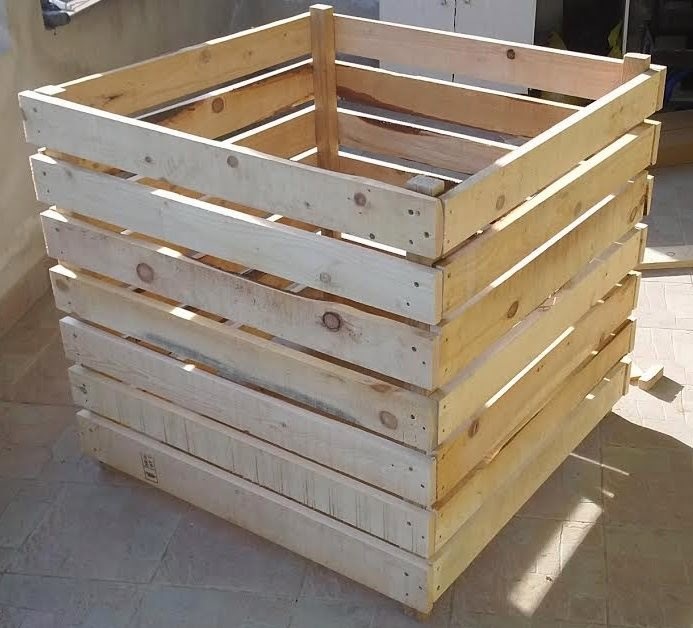 Seriously decide on making the compost bin. Locate a local wood magician*. Ask this magician what do you need. Nod like you understand, at the end say something like "you are right, that is exactly what I had in mind". Prepare your vehicle for wood transport. 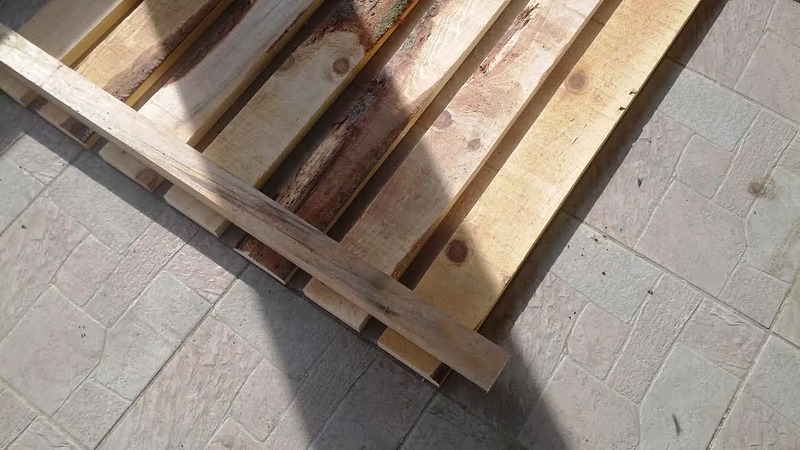 Transport yourself and the wood to your wood-stuff-making location, unload wood to the wood-stuff-making surface. Be confused about all the wood you are looking at. Notice that you don't have the following: screws. Or/and nails. Make a few calls to investigate about the cheapest place to get some screws, or/and nails. Go to the identified place (or some random place). Explain to the store employee that you have some wood, and that you need to screw it. 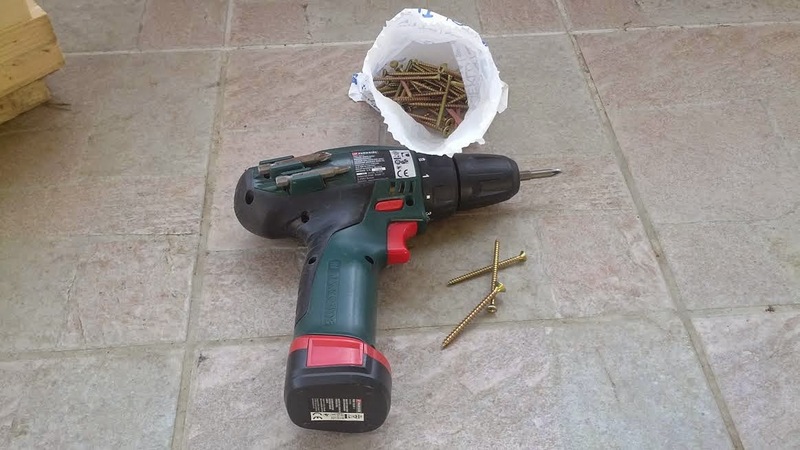 Make a random number about how much screws and/or nails you need. This is hardly relevant, because you will not get this number right in any case, and will have to get back to the store in a few hours. 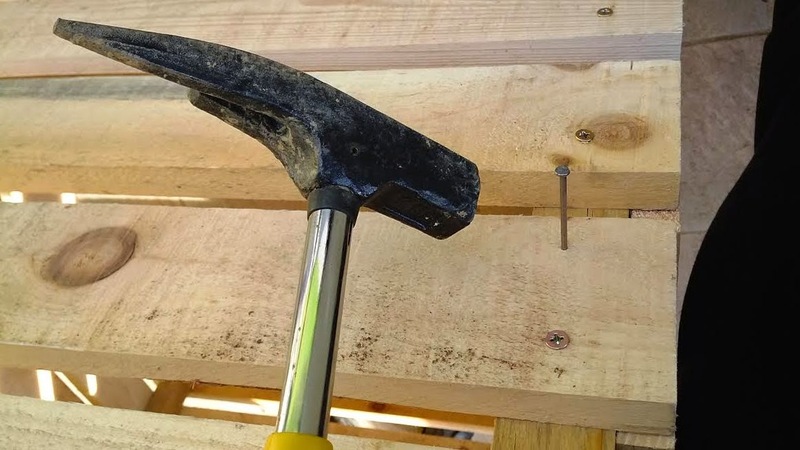 Get back to the wood-stuff-making location with the wrong number of screws and/or nails. Watch the pretty pictures in the rest of the tutorial to get a feeling about what needs to be done with all the wood and screwing. The Final Product. I already know what is missing: the door. I will cover this design error (maybe) on some other article describing compost bin upgrade to v1.2 beta. If you are not looking for serious joint injuries, I recommend using cordless screwdriver like this one. It is a Lithium-Ion Parkside model from Lidl, which is working really nice. Using tiles for establishing parallel and 90 degree joints. Picture shows joining 7 longer planks (100cm) to one of the corner posts. Found some wood residue in the basement. 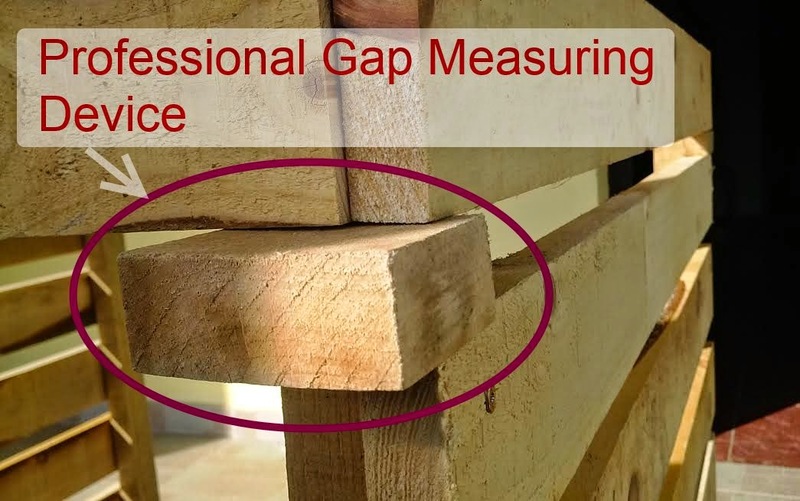 Looked exactly like a professional gap measuring device (PGMD). 2 sides with longer planks finished. This picture should probably be placed before the previous one. Ah, well..
Oh, look - the hammer and the nails. 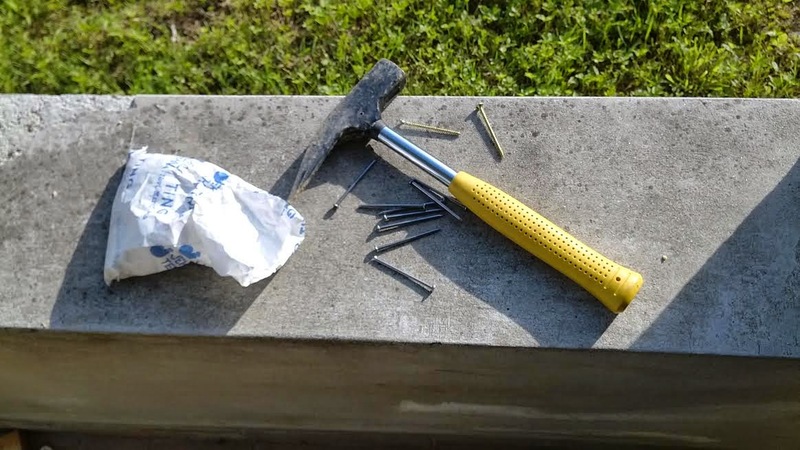 Although I have more than enough screws to finish the bin (after going to the hardware store for about 3 times), how could I miss the chance for banging some nails into the wood? You are feeling strong and powerful, making stuff from wood. You are feeling strong and powerful, using cordless screwdriver. You will spend less money (I think) in comparison to buying a finished product. You will have a better compost bin (I hope) than the ones they sell in stores. You will make friends with the local wood magician. But don't mind him hating you, it's a complex relationship. You can shot some pictures and show off with your work on social networks, blogging platforms, etc., like you made a f***ing particle accelerator. You will have to leave your computer for a few hours. You will have to face the outer world and all the dangers it represents. You will spend some gasoline in the process, driving aimlessly around, wondering what else have you forgotten to buy for building this complex machine. If your profession is working in the IT, you could get yourself (and probably anyone in the near vicinity) seriously hurt. Recenzije/uputstva su do jaja! Ocemo jos! "The review/instructions are right next to the balls! We want more!"